Conflicting reports say that the Maine lobster catch is either prospering or in decline. The lobster catch in Maine this year has presented itself as a bit of mystery. In mid-July, the Associated Press reported that the season was off to a slow start, though lobstermen expected the season to pick up once waters start to warm. Meanwhile, prices were staying down even though there have been less lobster available (at about $7.63 per pound for 1¼-pound hard shell lobsters). Just a few days later, CBNC reported that actually “Maine lobstermen are hauling in record catches,” while prices remain “near all-time highs.” So what’s really happening with the lobster catch in Maine this summer? Turns out its a little bit of both. “We had a cold spring and early summer and water temperature has everything to do with when catches start to pick up. Now that we are starting to see the water warm up a bit I would expect catches to pick up,” Curt Brown told Food & Wine over email. Brown runs Ready Seafood Co. in Portland, one of the largest lobster processors in the country. His company buys and sells 15 million pounds of lobster every year. There’s another reason the lobster catch seemed to be down this year. 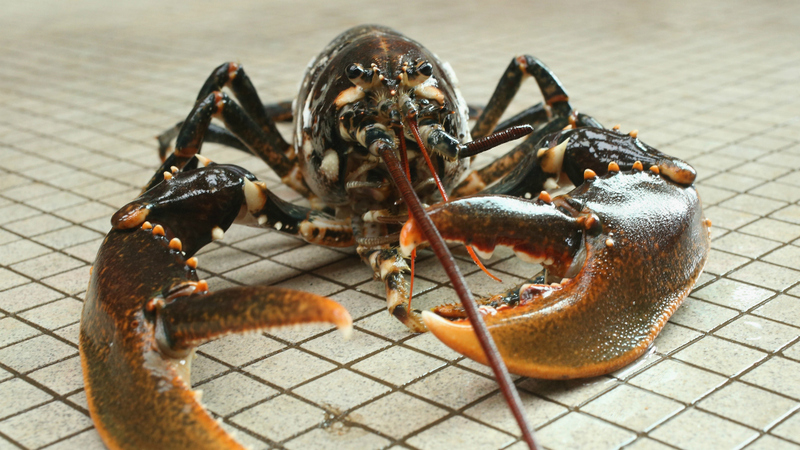 “The catch depends on when the lobster start to molt, and this year they were late to molt,” Cathy Billings, Associate Director of Communications & Development at the University of Maine Lobster Institute explained. Rising water temperatures and a change in the lobster’s molting have added up to cause a delay in the catch that may have made it seem as though lobster fishing is spiraling into a decline. Actually, the opposite is true. “Overall the catch has been increasing. We have seen all time highs over the past decade,” Billings said. The Maine Department of Marine Resources has been keeping track the surge in lobster catches over the past several years. “As a whole, in recent years, the Maine lobster fishery has been at or near record highs with a peak of landings in 2016 at almost 131 million pounds, valued at more than $530 million dollars," said Kathleen Reardon, the Senior Lobster Biologist at the DMR explained. She backs up Billings assessment that a “later molt,” stymied catch rates in June and July, although her department will not have official landing numbers for the 2017 lobster catch until the end of the year. Regardless, there is some truth to the reports that the lobster catch is declining–just not in Maine. “South of Cape Code, [lobster] numbers have severely dropped,” Billings said. She cites a few different theories for why lobstermen in places like Rhode Island are seeing fewer and fewer lobsters in their nets. “People point to an increase in water temperature in those areas, and they don’t have the same tidal flushing action as the Gulf of Maine, so they could be experiencing more contaminates and other run off,” she said. However, a steady uptick in the number of lobster caught doesn’t necessarily mean that the lobster population is growing (although that certainly could be part of the reason). “We don’t know how big the population is. The landing data is like taking a withdrawal out of bank account but you don’t know what the balance is,” Dr. Diane Cowen, who runs Maine’s Lobster Conservancy as one of the most learned experts on these creatures. With this year's lobster haul likely to catch up with the record numbers lobstermen and researchers have been seeing in recent years, you should have ample chances to taste one of the ocean’s tastiest foods this summer and beyond.